What Kind of Microphone Should I Get to Go On Podcasts? 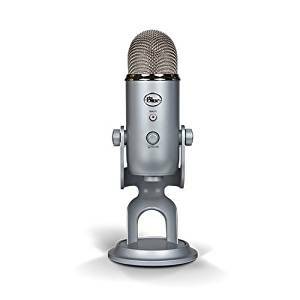 If you’re asking what kind of microphone is needed for going on podcasts, you’re moving in the right direction. It’s a question we’re asked at Interview Valet often. Whether it’s our own Certified Guests™ or hopeful podcast guests, sounding good tops the list of priorities for those thinking about podcast interview marketing. You have a ton of choices for great microphones out there. However, not every one is ideal for each setup. Let’s start with the basics. You see performers use dynamic mics when their mouth is close to the microphone. For most podcast guests these mics work well. They don’t tend to pick up background noise from other room, fans, clocks, pets or the outdoors. Some of Tom Schwab’s best and biggest interviews (he’s been on more than 1,000 shows) have been done in a hotel room with a dynamic microphone, a computer, and a strong internet connection. 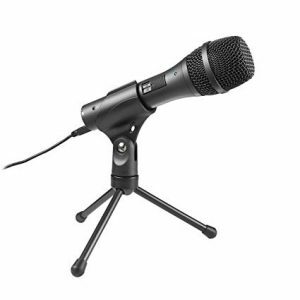 In our experience, we’ve found the ATR 2005 USB a great dynamic microphone. The professional grade mic plugs into any computer with a USB port so you don’t need a mixer. We’ve found it to be much better quality than the cheaper commercial grade ATR-2100 USB where the on/off switch fails at an annoying rate for us. It also comes with a much better warranty. Sometimes appearance matters. If that’ the case, t he Heil PR-40 is also an excellent microphone. You can find this beauty online for less than $400. This looks like a recording studio mic, so if that’s important to you it looks impressive. Note: If you don’t have a mixer, you will need to purchase a separate XLR to USB cable with the Heil PR-40. Your recording set-up will play a part in determining what kind of microphone you’ll want. A condenser mic is built omnidirectional, so it picks up all of the noise in your room. That’s fine if you record in a quiet studio or with multiple people near each other. However in the wrong setting, they can provide terrible audio. 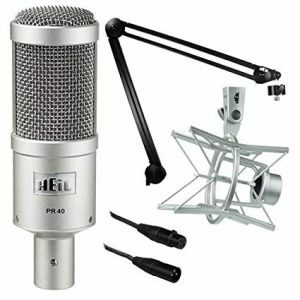 Blue Yeti is a great condenser microphone you can find online for $125. Current models have settings for how the mic picks up sound, so it can actually have the feel of a dynamic mic. What kind of microphone should you start with as a podcast guest? It depends. The microphone you choose will depend on a few things. Style is one factor, as is cost. Brands like Shure, Neumann, MXL, Rode, Behringer and more. As a podcast guest, quality is important. However, keep in mind that your interview lifespan may be limited. Spending all your budget on a microphone may not be the wisest move. 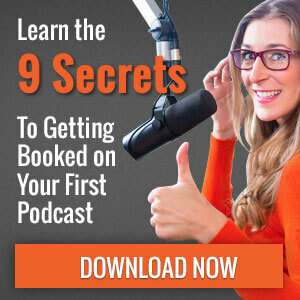 As you explore podcasting and maybe decide to launch your own show, you may end up with an upgrade. Until then, consider your recording space, your style and your budget.